Product FeaturesThis product contains whole brushed French black winter truffles, harvested in France during peak season. These 'Perigord' truffles are preserved after a 1st boiling in order to retain maximum flavor and aroma. They are preserved in the truffle juice produced during the boiling process. 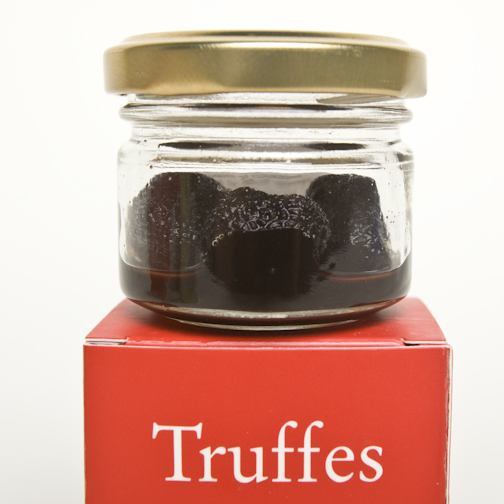 Each can contains approximately 80% truffles and 20% truffle juice. The truffle juice is delicious and can be used for cooking in recipes. Brushed First Choice: Whole, top quality truffles with an irregular shape.